The San Antonio metro area is known for its exceptional schools, rich culture, long history and exquisite cuisine. 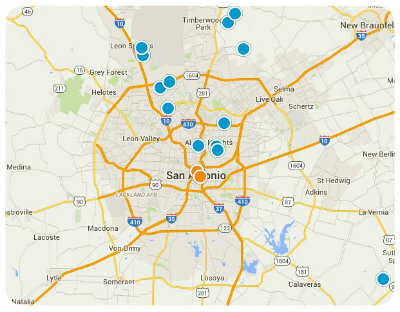 Perhaps that is why the suburbs of San Antonio continue to grow in popularity and population year after year. If you are looking to relocate in the San Antonio area, you should consider the real estate options in Selma, Texas. Selma is a city in Bexar, Comal and Guadalupe counties and home to around 6,300 residents. However, Selma is so amazing, it is projected to grow to 7,100 residents by 2020. Home to the Retama Park horse racing track, Selma was first settled in 1847 by a diverse community of immigrants, then incorporated in 1964. Selmas has grown as development along Interstate 35 has increased. Today Selma is home to great shopping and dining options, as well as all the other daily necessities of its residents. The median age of Selma residents is 31 and the median household income is $76,900, making it a great community for young professionals. Selma is bordered by Universal City to the north, Like Oak to the southwest, Schertz to the east, and San Antonio to the northwest. Selma is composed of 5.1 square miles and its center is 18 miles from Downtown San Antonio. Real estate options in Selma vary depending upon which subdivision you choose. Homes for sale in Selma come in a number of diverse communities including: Chelsea Crossing, Forest Creek, Live Oak Hills, Olympia Hills, Retama Ridge, Retama Springs, Selma Parks Estates, The Trails at Kensington Ranch I and II. 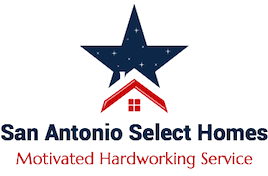 If you would like to buy a home in Selma, Texas, or if you would like more information regarding homes for sale in other San Antonio suburbs, please do not hesitate to contact us today. There are 3 headstones on the property next to it on the left side.